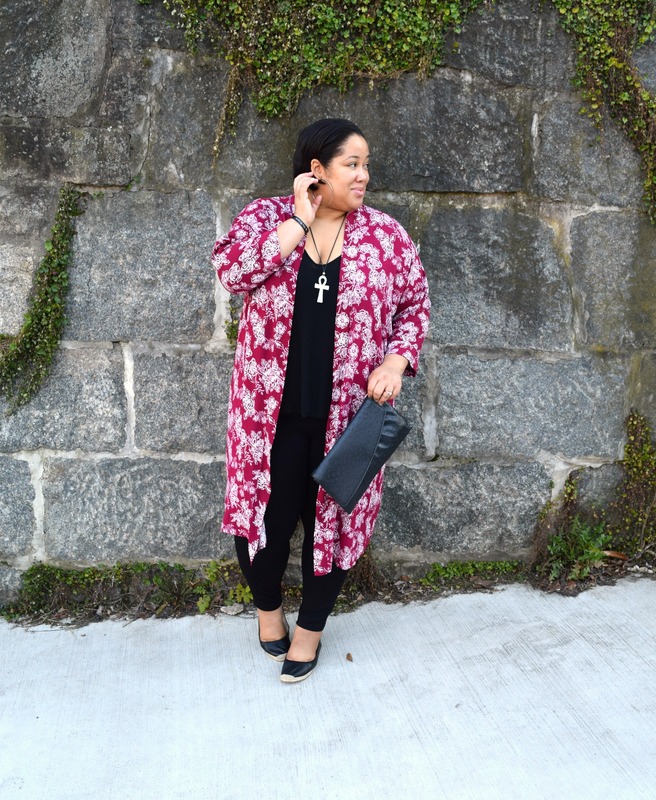 Kimonos have been a wardrobe staple for me since last year. I’ve always been a fan of styling them, but over the last year I’ve been gravitating towards them more and more. When I’m out shopping that’s the first thing I search for – they’re such a necessary wardrobe addition. 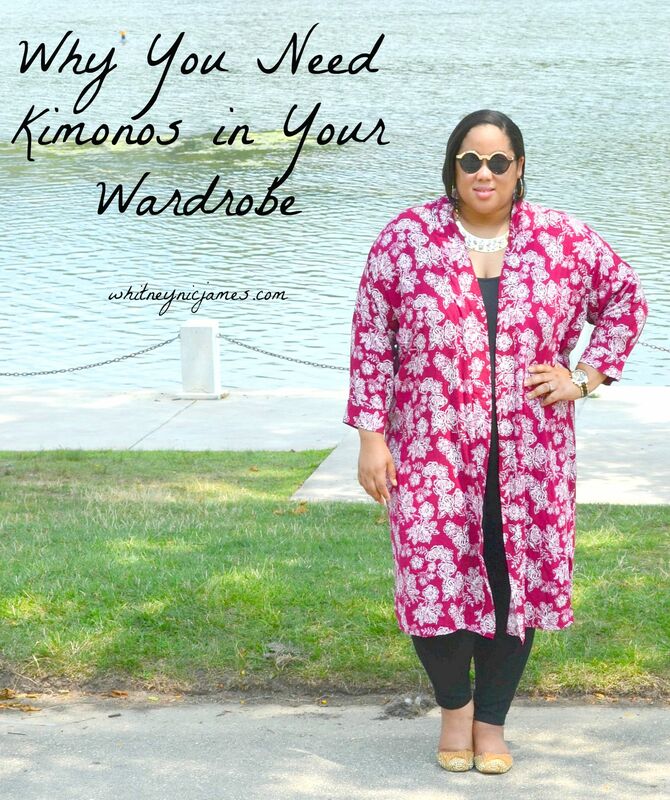 So of course, I must share the 5 reasons why you need kimonos in your wardrobe. 1. Versatility. 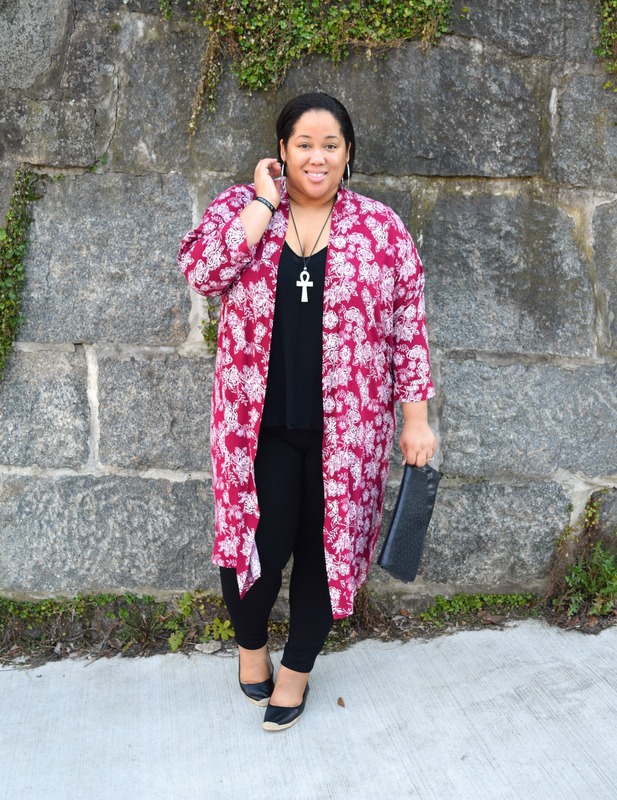 There are several variations of the kimono trend and that’s a good thing. 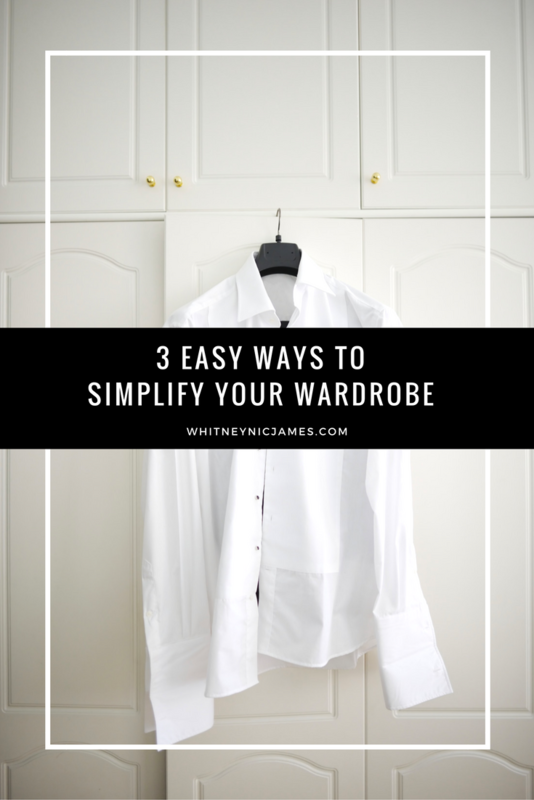 It keeps the trend versatile and makes it simple for you to find a style that works for your aesthetic. 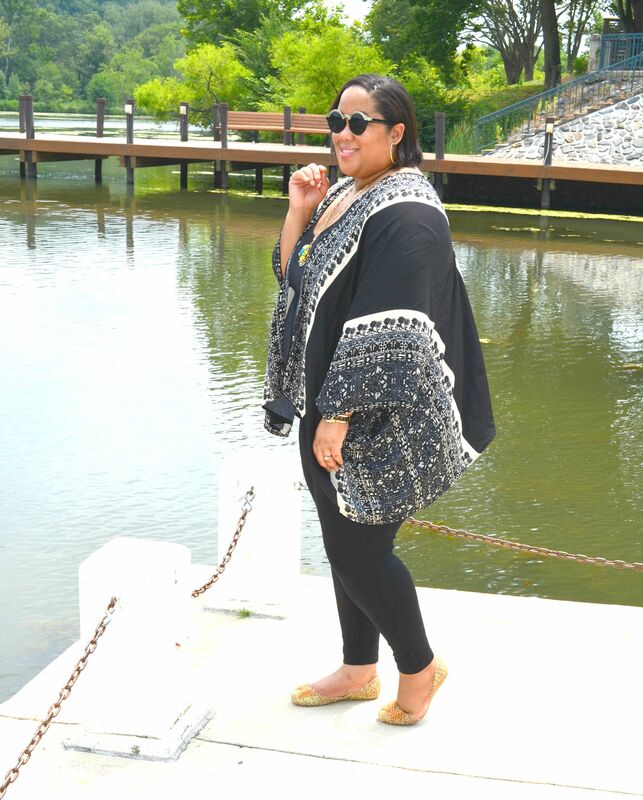 Weather full length, mid length or cardigan style, kimonos are extremely versatile; there’s a perfect style for every shopper. 2. Easy to Style & Wear. 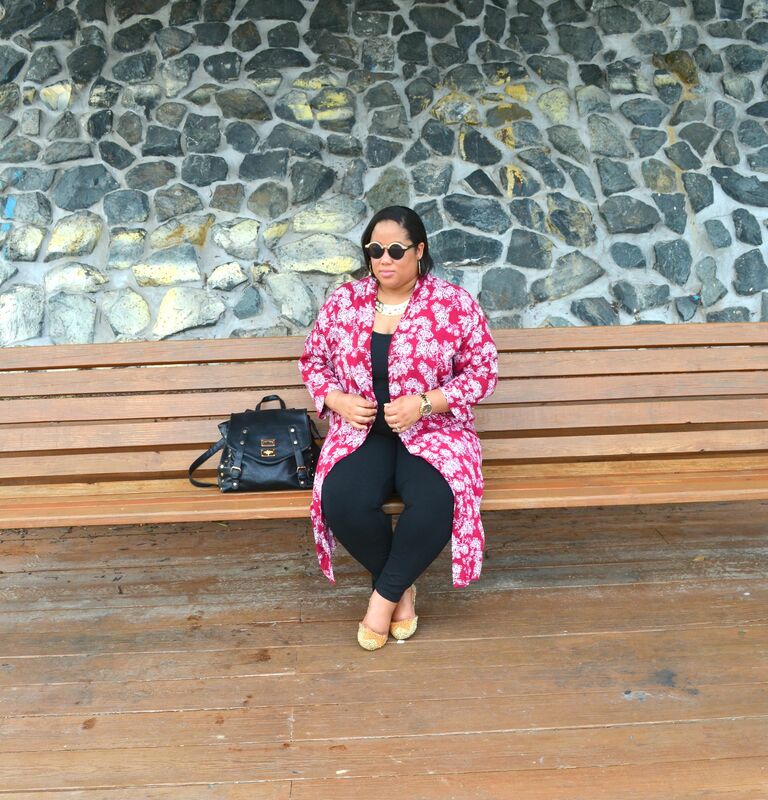 If you don’t know what to add to an OOTD like a maxi dress, throw on a kimono! 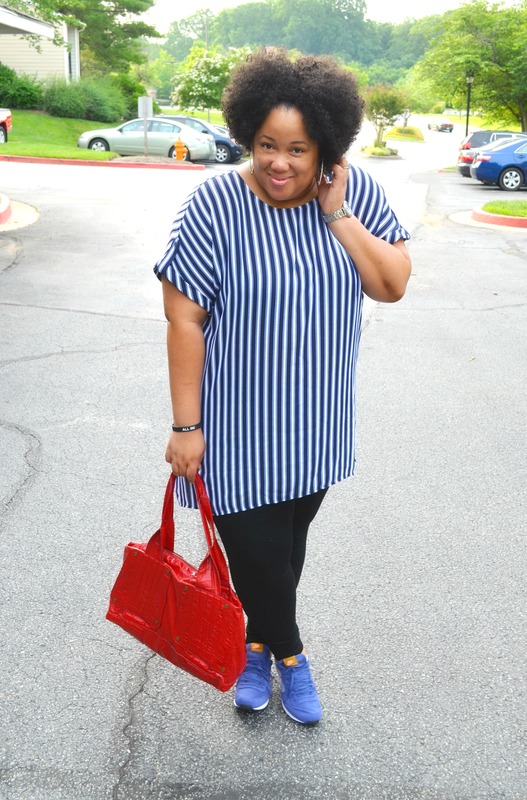 Want to add a little something over a tank top and jeans look? Pick a kimono! 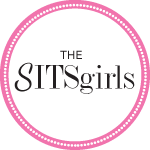 They’re the easiest garments to style and wear. 3. Affordability. 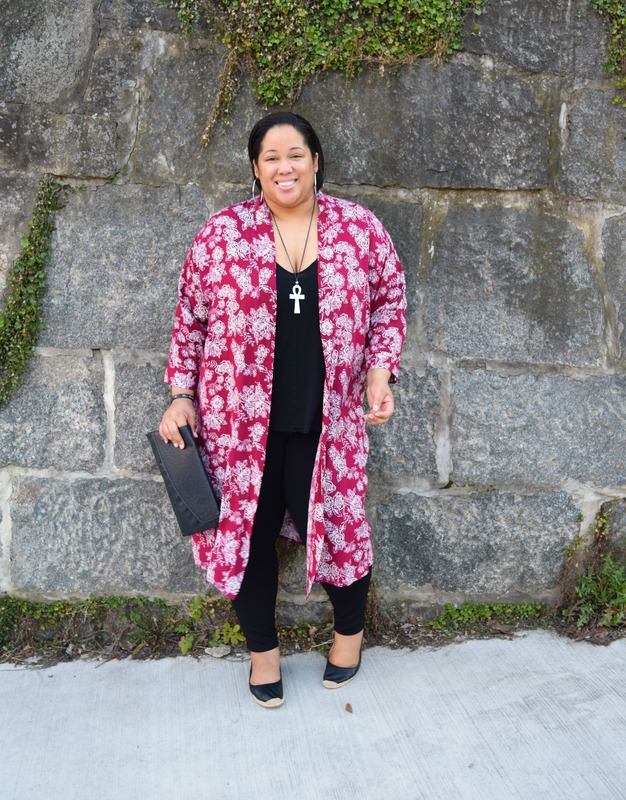 Oftentimes I find my favorite kimonos at the thrift store, for less than $10! Even if they’re not thrifted, more often than not kimonos aren’t that expensive. And they’re also on sale often at stores like TJ Maxx, Nordstrom Rack and Asos. 4. Timeless. I don’t think the kimono trend will go out of style anytime soon. Their classic and timeless wardrobe staples; perfect for any wardrobe and every season. 5. Comfort. 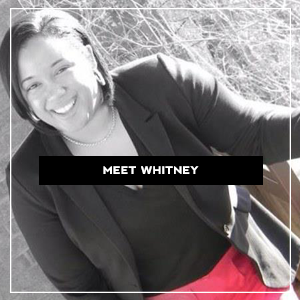 If you’ve been a WNJ reader for awhile, you know I’m all about looking stylish and being comfortable. 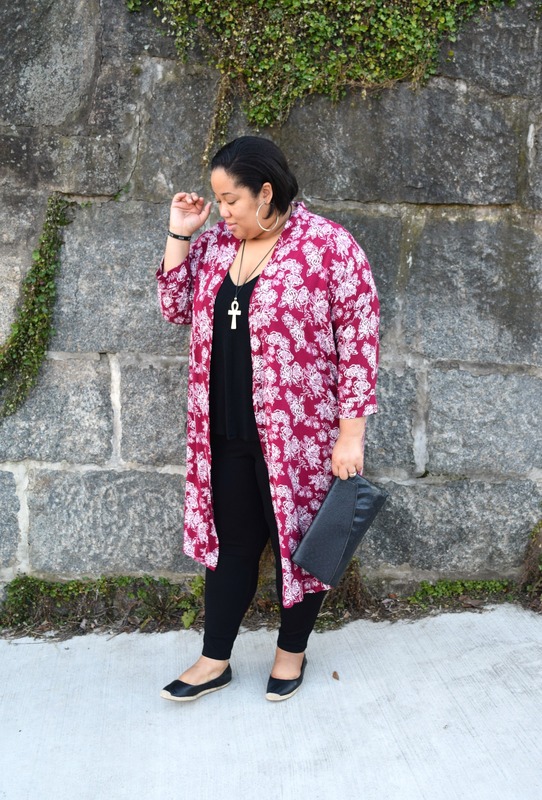 Kimonos are the perfect garment for comfort because they’re usually lightweight and flowy. The garment moves with you and the various prints and colors help amp up your personal style instantly! 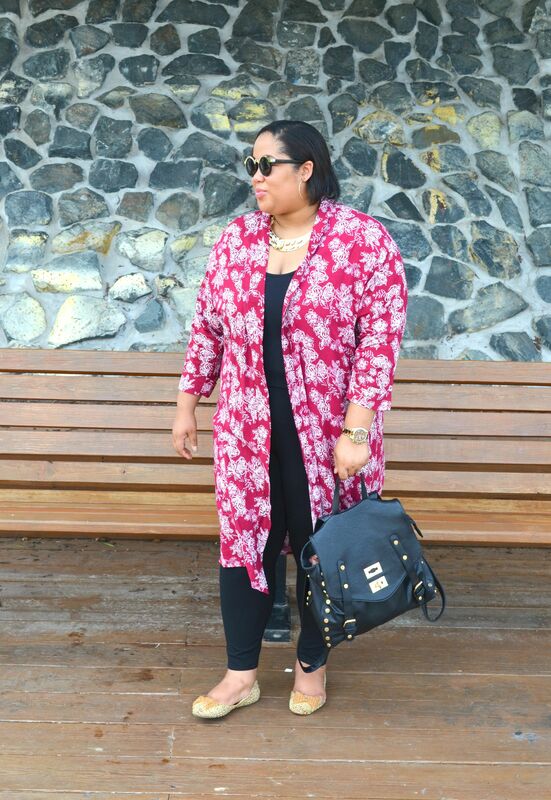 So tell me, are you a fan of wearing kimonos? How many do you own? Let me know! Thanks for stopping by and I hope you’ve been inspired to purchase a few more kimonos for the season and upcoming seasons. If you signed up for my newsletter, THANK YOU – I hope you enjoyed the free info I sent over. Until tomorrow, be blessed and stay safe…XO! 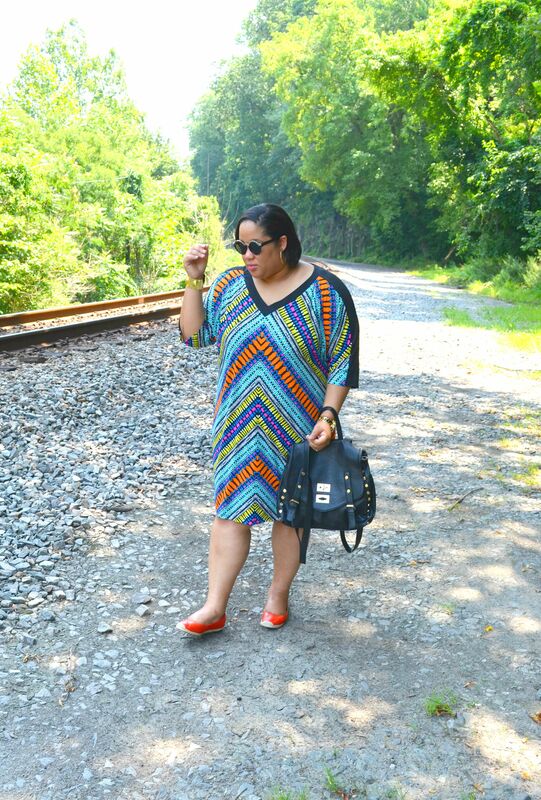 I’m all for colorful, stretchy, printed shift dresses…all year! 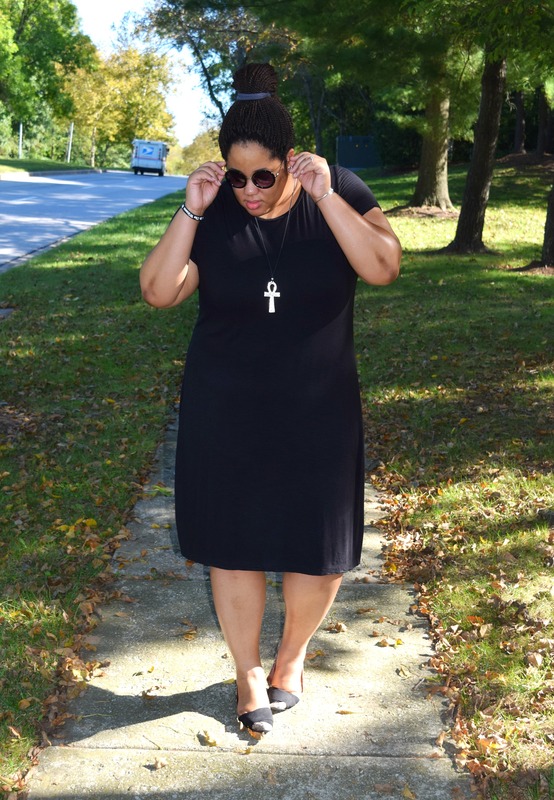 Plus size shift dresses have become one of the easiest garments to style and shop for. 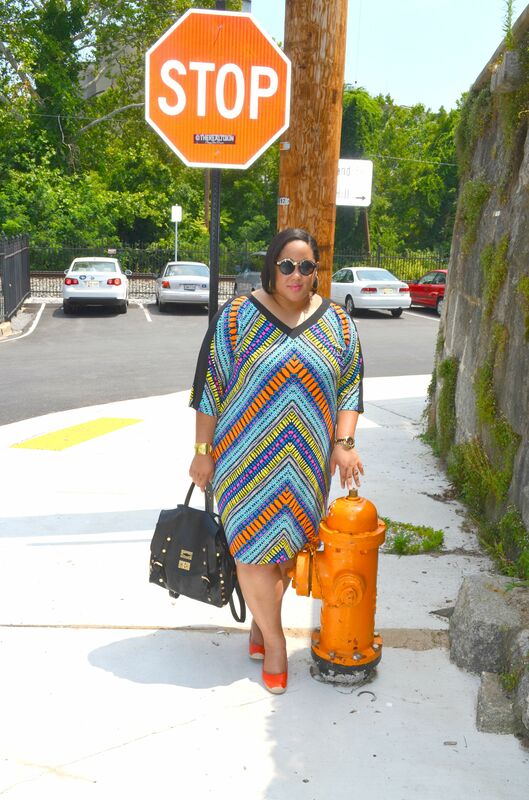 During the warmer months I tend to gravitate towards dresses, especially maxi’s and tunic dresses. So when I saw this Maggy London beauty on sale online at Nordstrom Rack I knew it had to be a wardrobe addition. 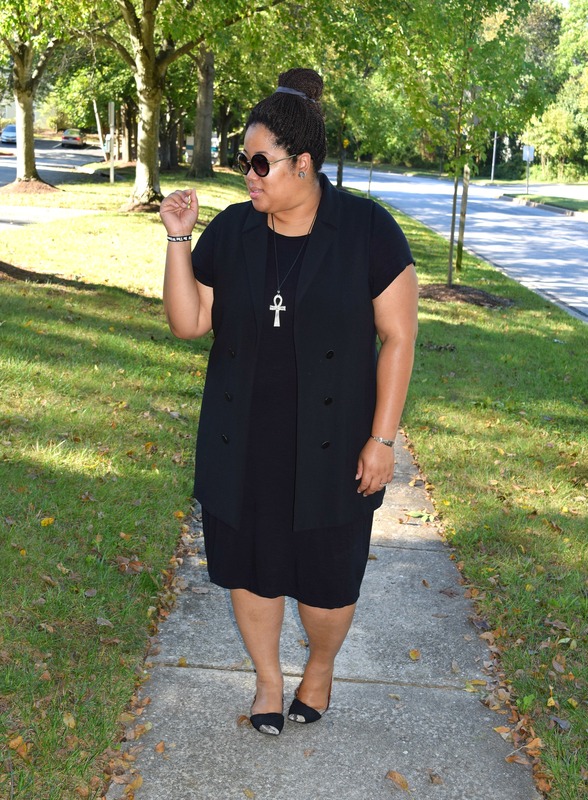 Another reason I was drawn to this dress was the versatility; this garment can be worn during any and every season. I’ve been searching for a stylish black backpack, preferably one to fit my broad back, and thank goodness I found the perfect match. I was browsing TJ MAXX last week and there it was, on sale and in near perfect condition. It was ALL MINE! This backpack was the perfect addition to this casual chic outfit. 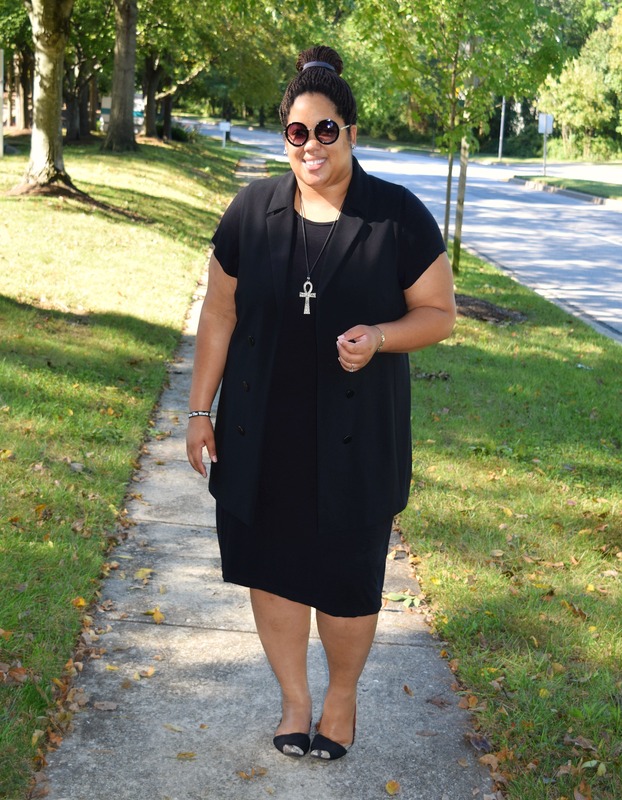 I actually wore this OOTD while hanging out with hubby in downtown Old Ellicott City (MD). Although our main purpose was to snap pics, we ended up walking around for a while. It’s the perfect quaint and historic location to visit for a day trip. There are tons of cute shops and restaurants and the cobblestone streets give off that ideal historic vibe. 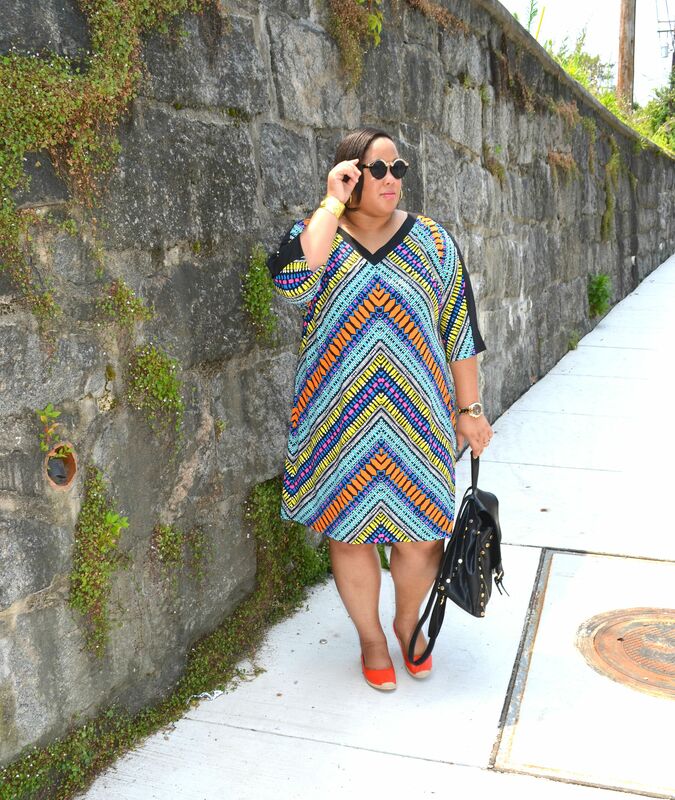 So tell me, what do you think about my plus size shift dress? What’s your favorite go-to casual chic outfit? Let me know! Thanks for stopping by today! If you signed up for my newsletter, THANK YOU – I hope you enjoyed the free info I sent your way yesterday. 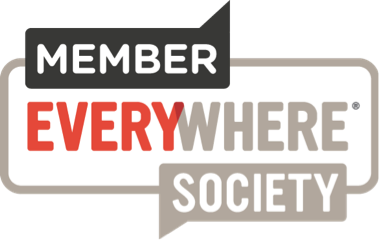 More freebies and a few announcements to come so be sure to sign up today. Until tomorrow, be blessed and stay safe…XO! It seems like I’ve been wearing stripes a lot more than usual these days. I do love a good print, but I’ve never really been one to go straight for stripes when shopping. 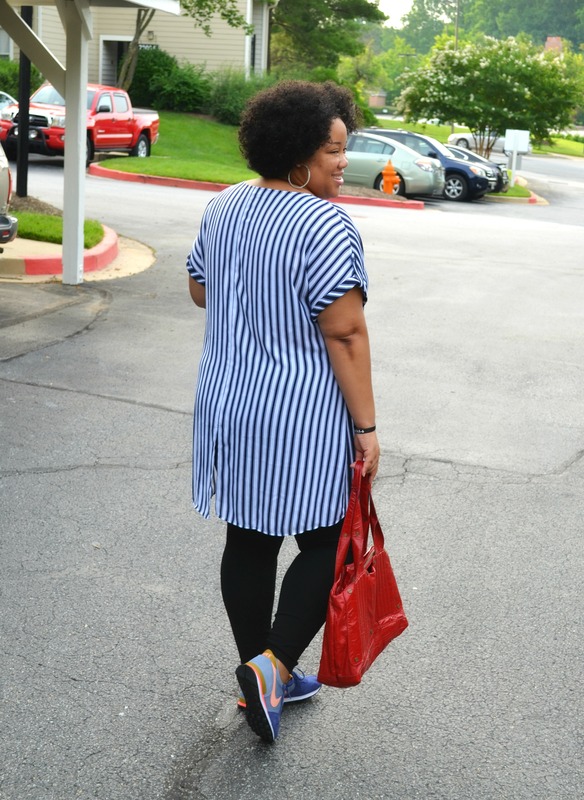 Like many women, I had the silly idea that stripes made me look too big. Depending on the garment and the size of the stripes, this is true. 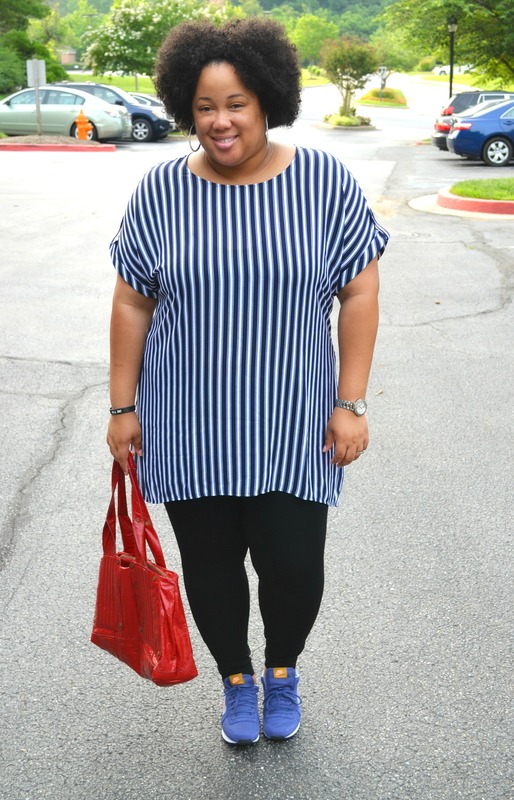 However, this lightweight striped tunic does the opposite – it actually slims me. So there was no doubt that I had to purchase the top when I saw it at Nordstrom. There’s actually a funny story about this tunic. 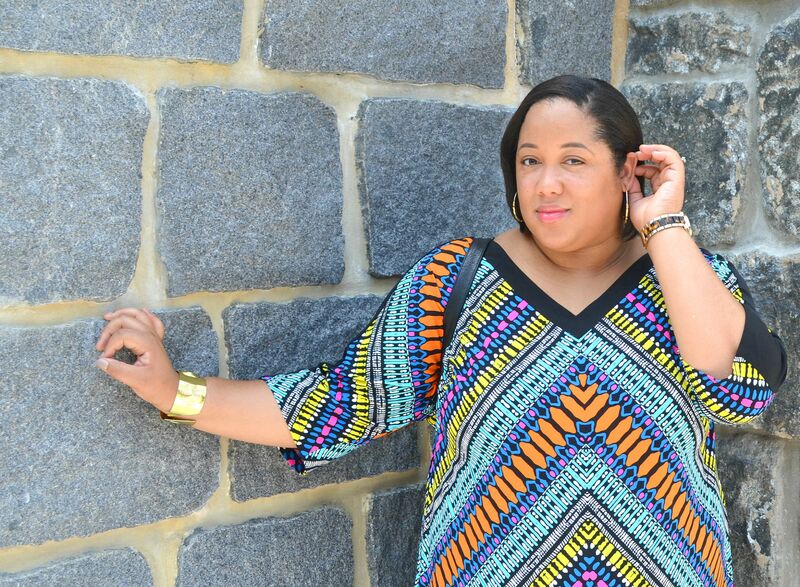 I purchased my first tunic while vacationing in Charlotte, North Carolina. Hubby and I were shopping at the South Park Mall and of course, we had to stop in Nordstrom. I saw the item, tried it on and knew I had to have it. I was sold! I ended up wearing the garment out to dinner while still in Charlotte and unfortunately, it ripped. I was so irritated, especially since I’d purchased the last one in my size. Fast forward to a few weeks ago, I was still thinking about the tunic. 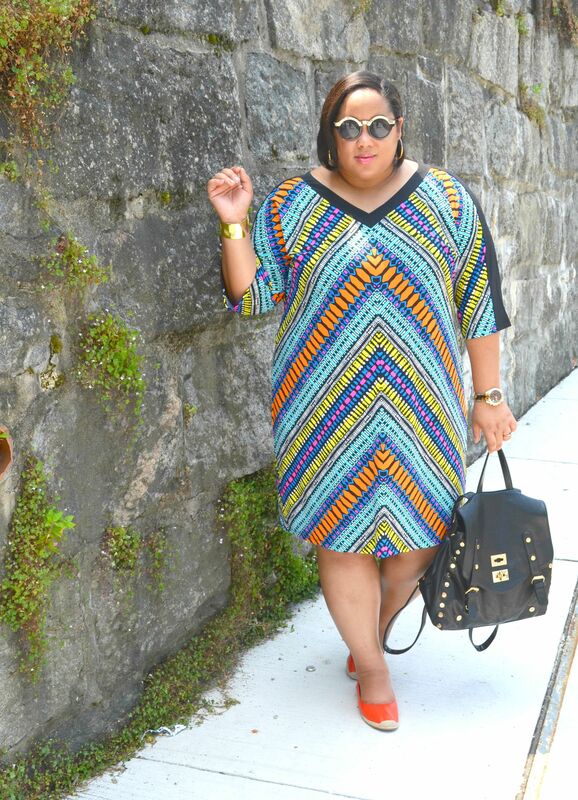 I finally found the tunic in my size online, ordered it, and all was well with the world. 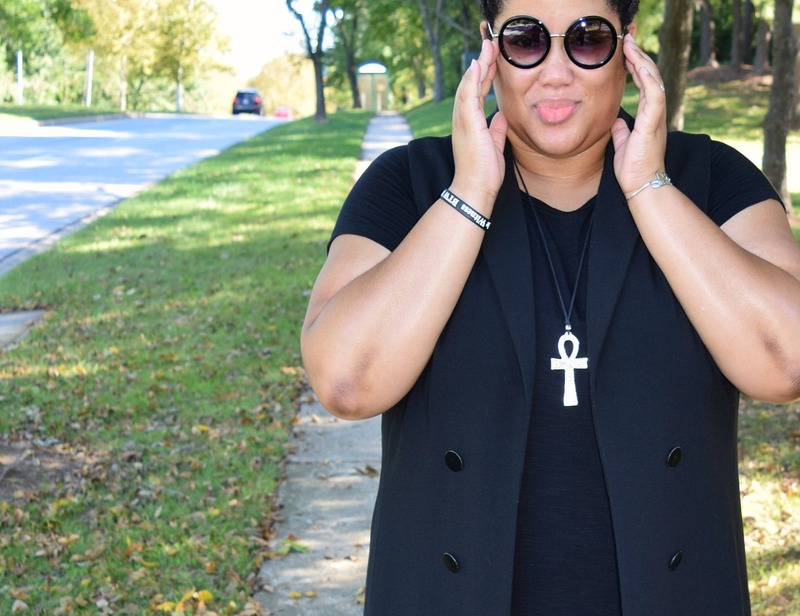 I ended up styling this outfit for a casual day at work, and thanks to my sneakers from Kicks USA, the look was complete. 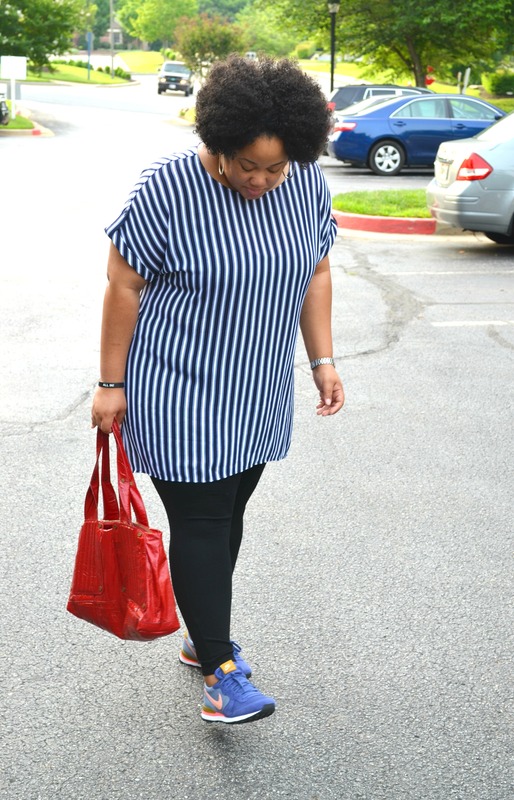 I’m a huge fan of sneakers during the warm months, especially a stylish and comfy pair. 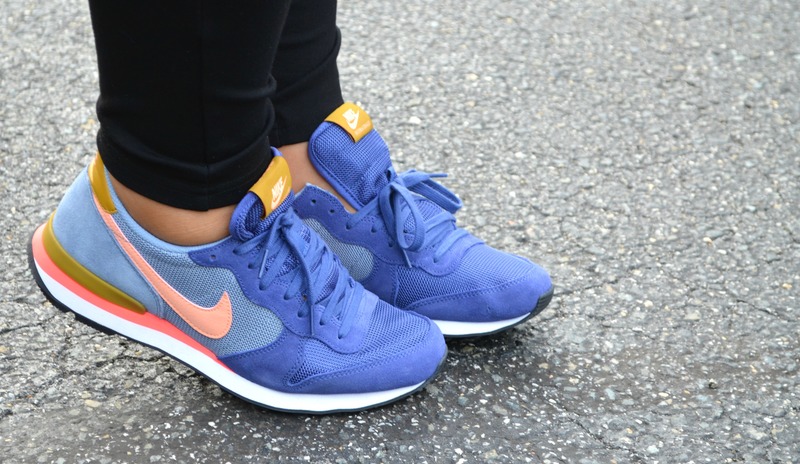 These Nikes were the perfect touch for a work appropriate, casual Friday look. So tell me, what do you think about styling stripes? Are you a fan? Let me know!